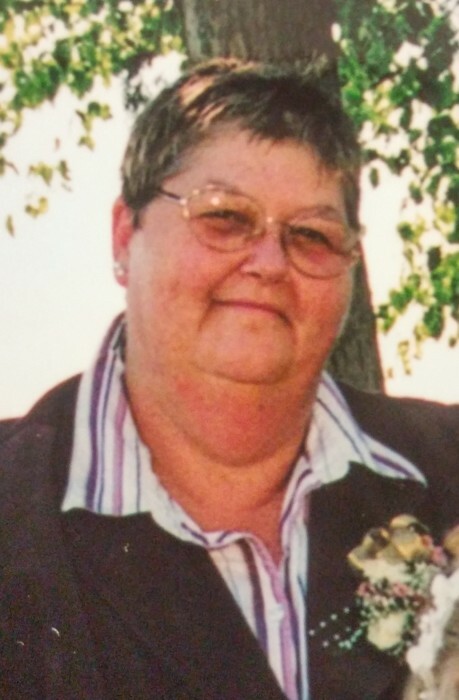 Peacefully with family by her side on Friday, January 25th, 2019 at South Bruce Grey Health Centre, Kincardine, in her 65th year. Barb, beloved wife of Ron. Loving Mom of Chris Heathers and his wife Moko, Kerry and her husband Dave Bezpalko, Dan Heathers and his partner Jen, Tara Heathers, Alex Vance, Beverly Vance, Kevin Irwin and his wife Sarah, Stephanie and her husband Patrick Spalding, Cherie Peattie, and Mark Irwin and his wife Penny. Proud Gramma of Paige, David, Carter, Kenton, Olivia, Nijah, Sierra, Max, Ryan, Reilly, Ethan, Miranda, Breanna, Trinity, Brittany, and Cassidy. Great Gramma of Kayden. Beloved daughter of Howard Chappell and the late Margaret (nee Atkinson). Dear sister of Jim Chappell and his wife Grace, Brenda Chappell, and Suzanne Chappell. Dear daughter-in-law of Betty Irwin and the late Wilmer Irwin, and sister-in-law of Bruce Irwin and his wife Angie, Dave Irwin and his wife Raeanne, Yvonne and her husband Dan Bieman, Cheryl and her fiancé Larry Pellet, Ray Irwin, Don Irwin and his wife Eva, Ken Irwin and his wife Debbie, and the late Craig Irwin. Friends will be received on Friday, February 15th, 2019 at the Port Elgin Royal Canadian Legion, 630 Green Street, from 1:00pm until the time of the memorial service at 2:00pm. Memorial donations to the Kidney Foundation or the Owen Sound Hospital Foundation would be appreciated by the family.